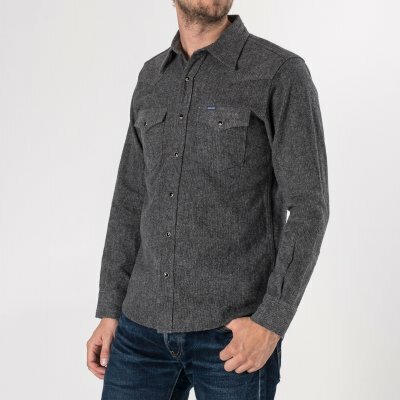 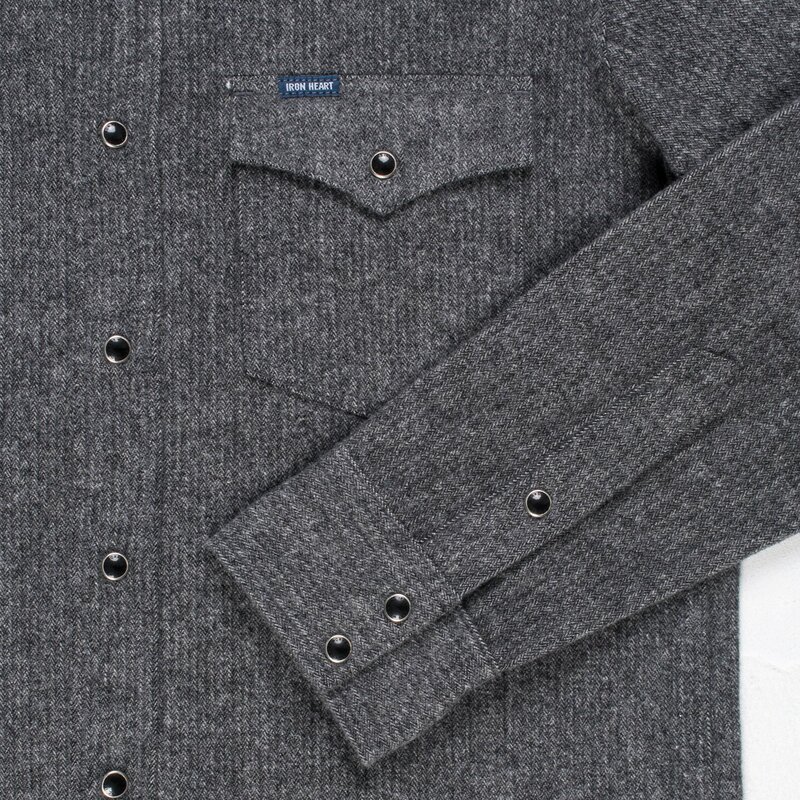 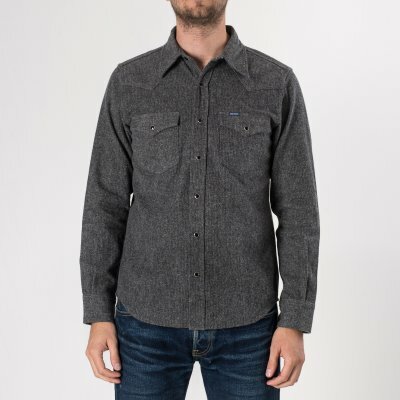 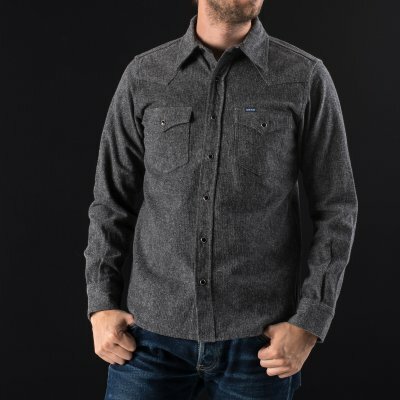 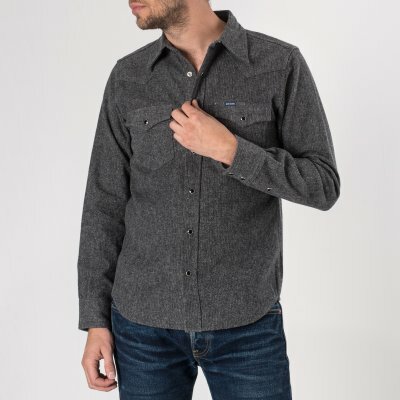 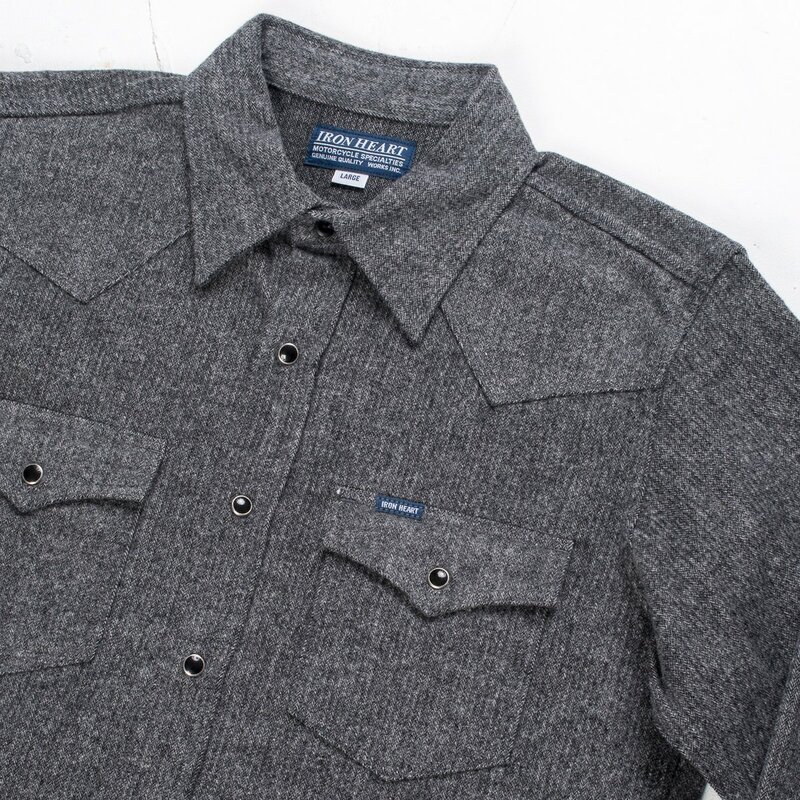 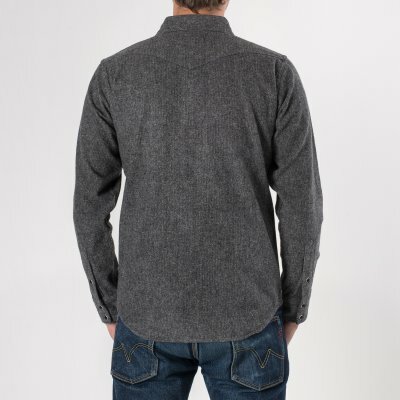 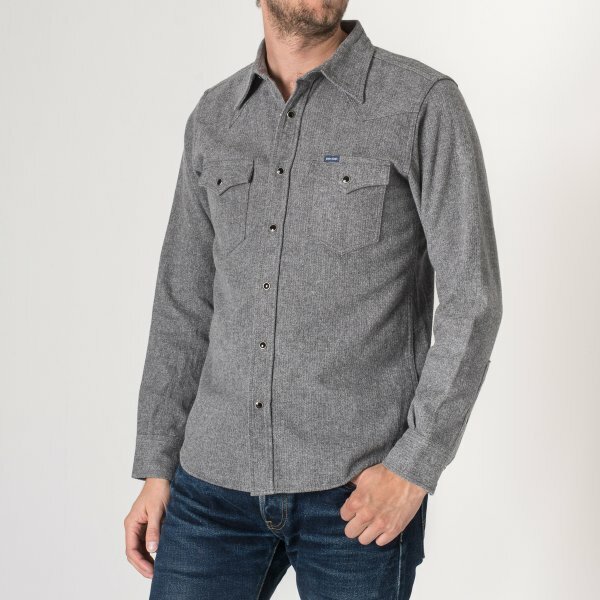 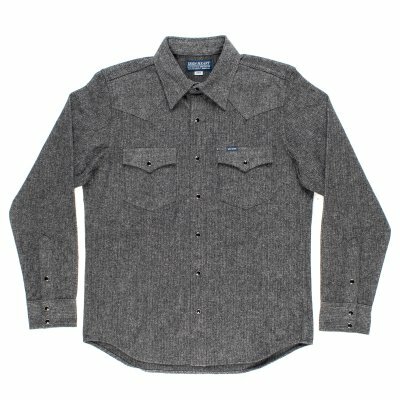 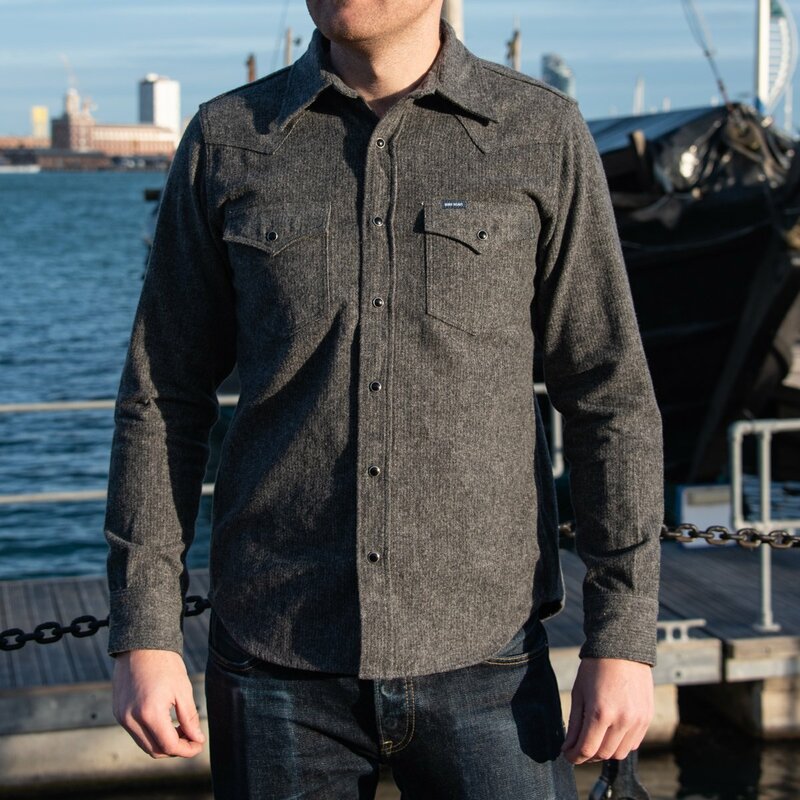 This western shirt is made from a heavy (9oz) cotton herringbone Iron Heart exclusive fabric. 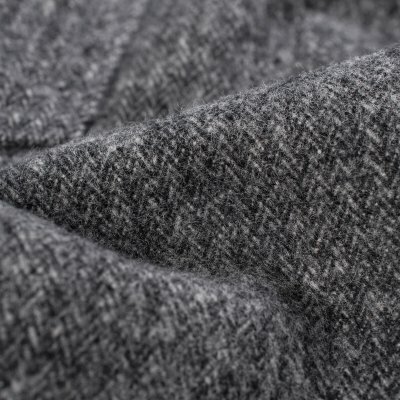 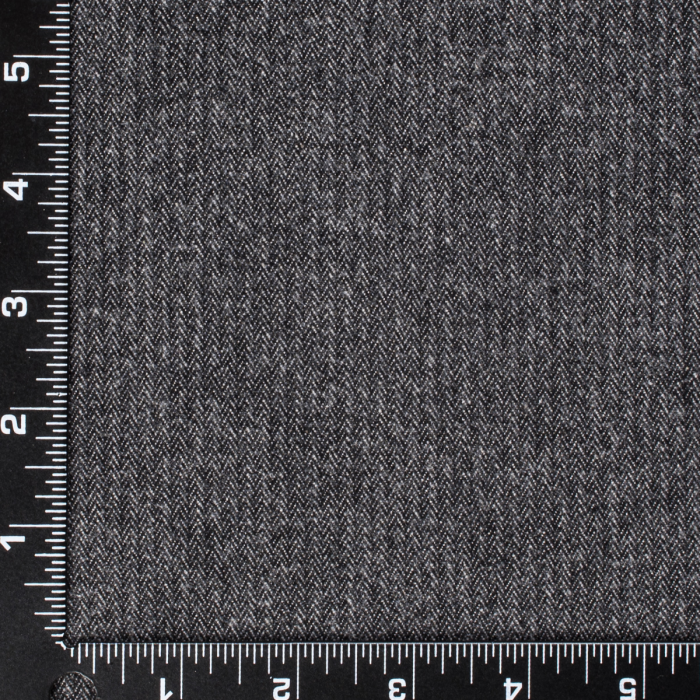 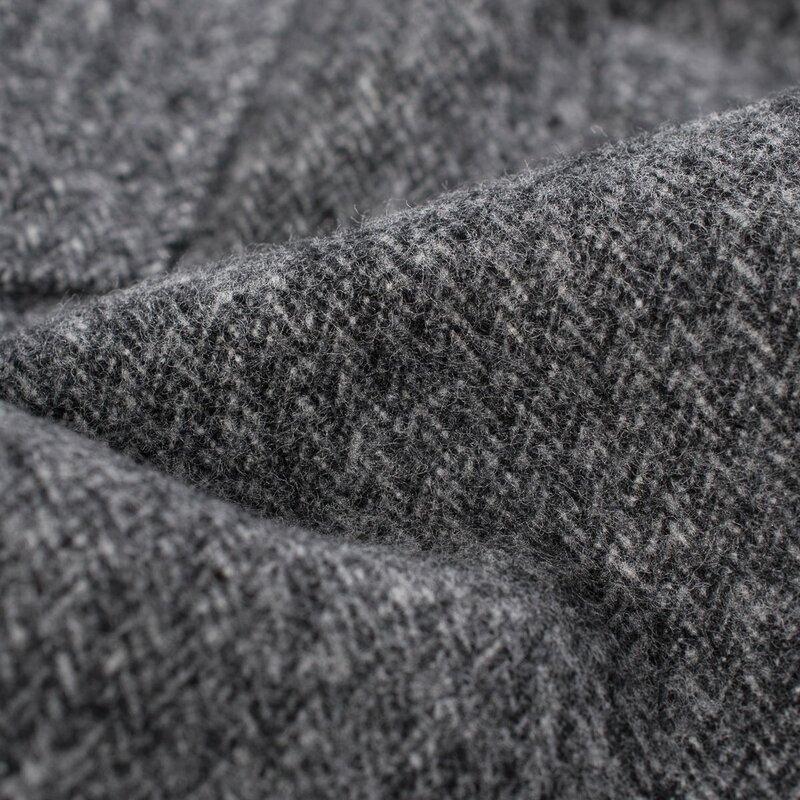 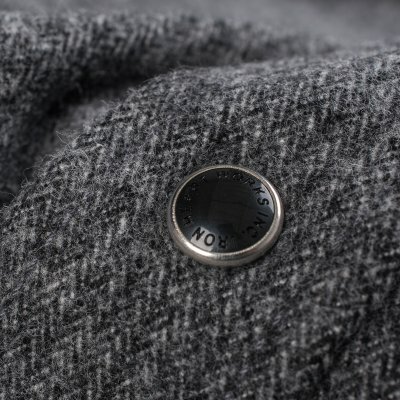 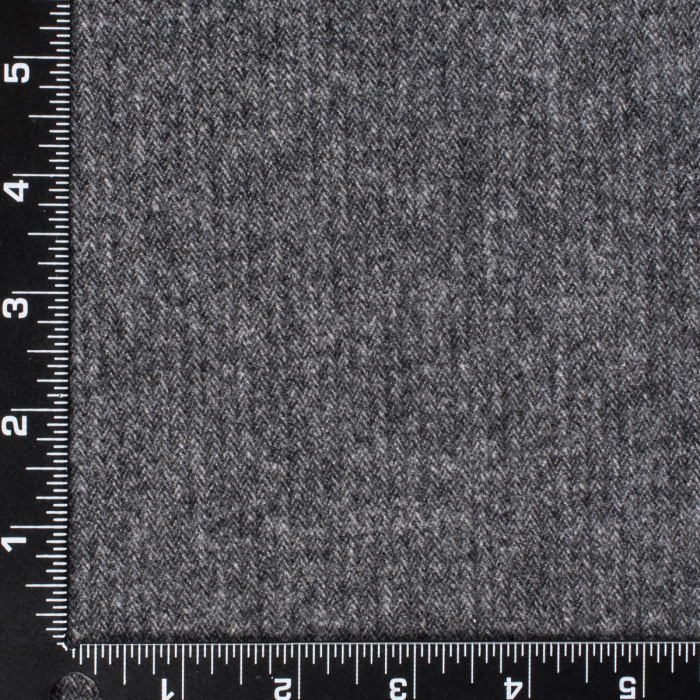 It is brushed on both sides making it extremely windproof and warm. 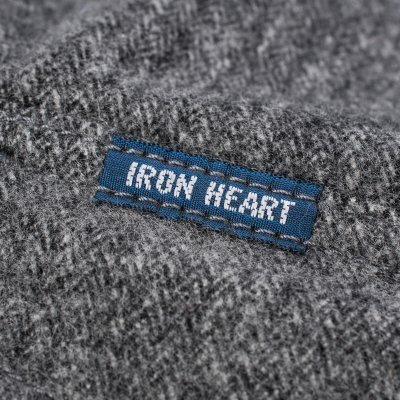 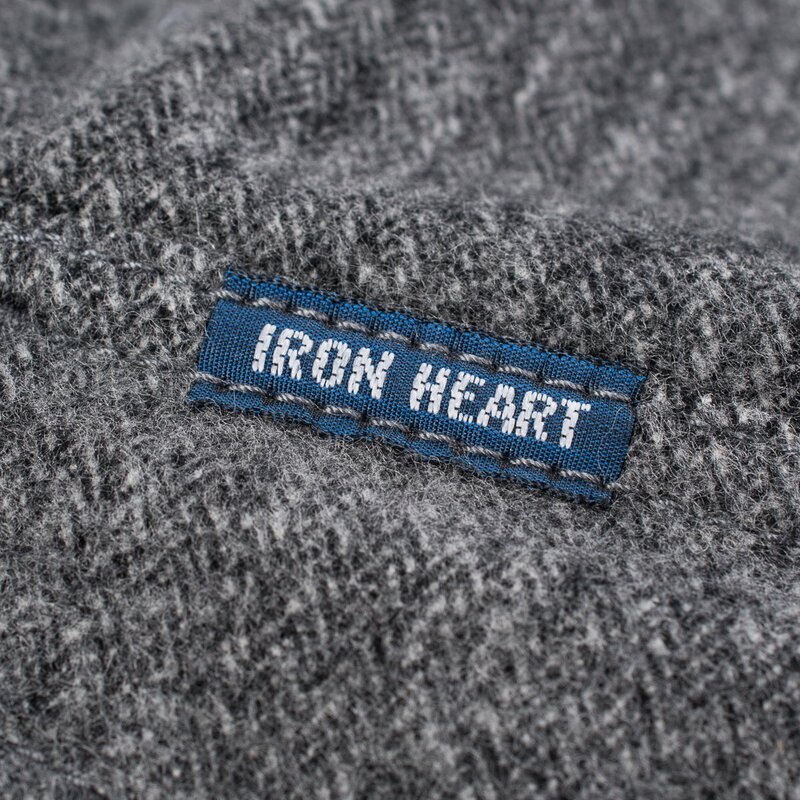 Sporting Iron Heart Logo'd black Permex snaps and single, double and triple needle construction. Available in both charcoal or grey (follow the link in the "Related Items" button above).